This building was formerly the town hall or toll-booth. Beneath are the prison cells where felons were incarcerated and branded. At each side of the steps are the remains of the town stocks. 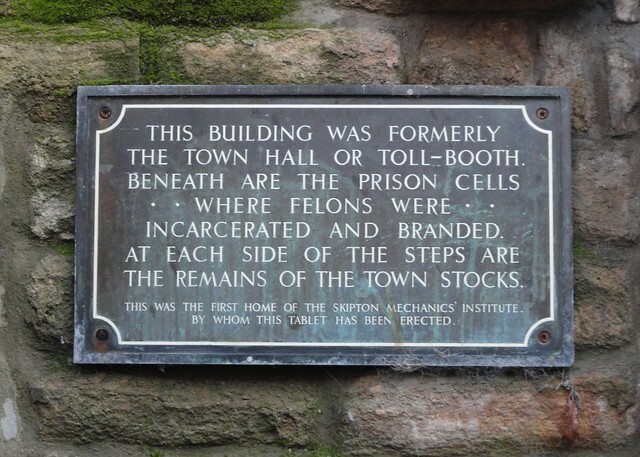 This was the first home of the Skipton Mechanics' Institute by whom this tablet has been erected.